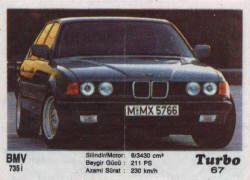 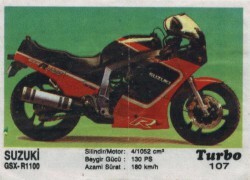 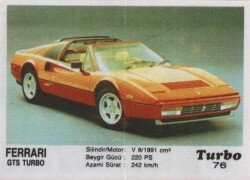 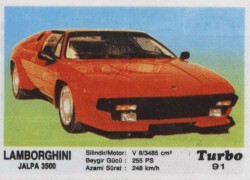 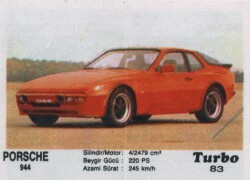 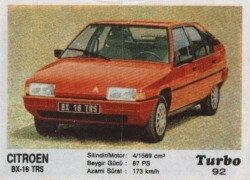 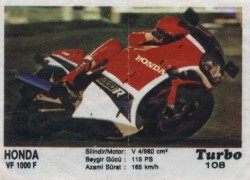 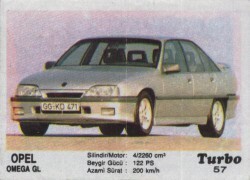 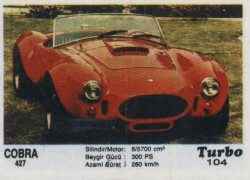 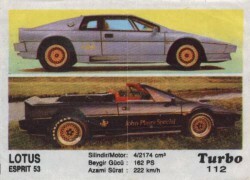 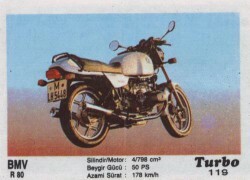 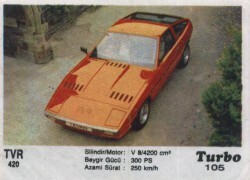 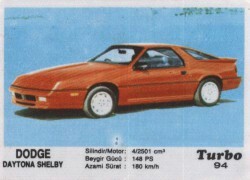 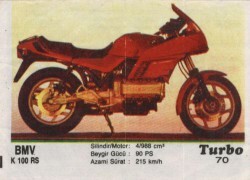 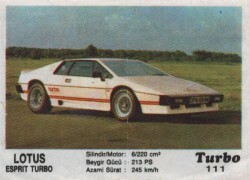 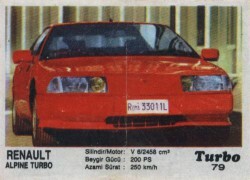 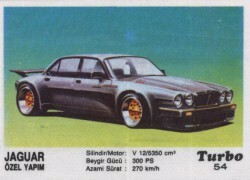 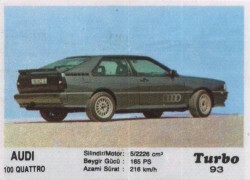 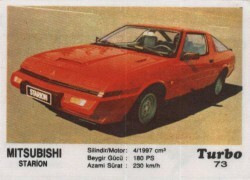 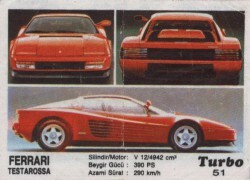 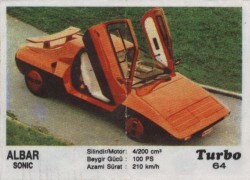 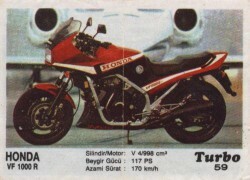 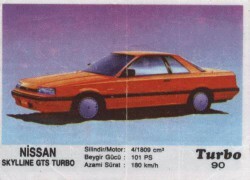 Turbo 51-120, T2 or Second series. 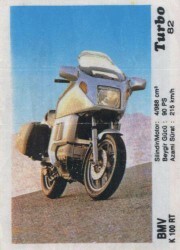 By covers was produced 1987 till 1990, in many countries including ex-USSR, Romania, Russia, Poland, Bulgaria. 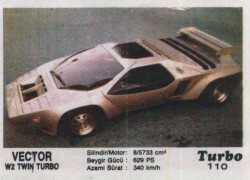 Contains 70 numbers from 51 till 120, all text is black, car characteristics in 3 rows, wrappers size is 83-85 mm in width, and 60-62 mm in height, number is placed under sign Turbo like in 1st series, in next series number is placed in right of Turbo. 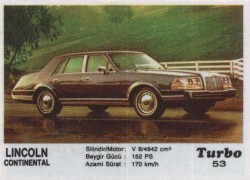 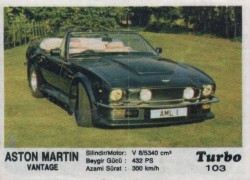 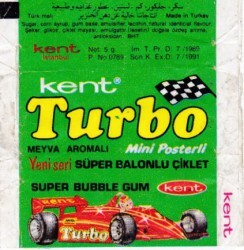 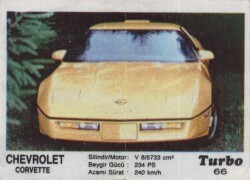 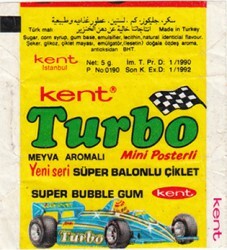 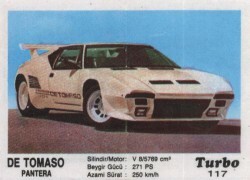 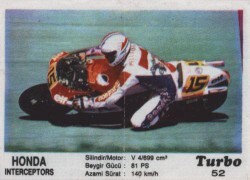 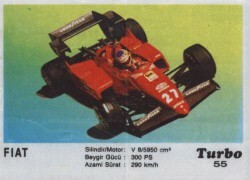 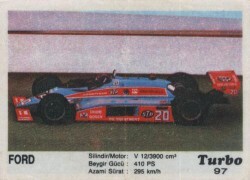 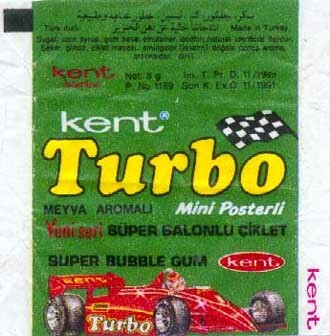 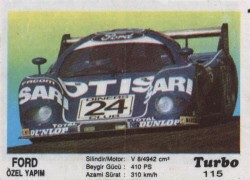 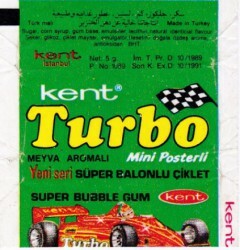 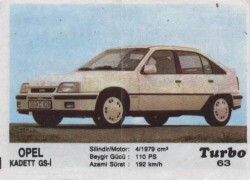 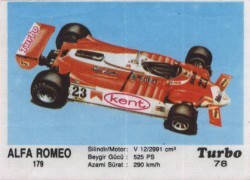 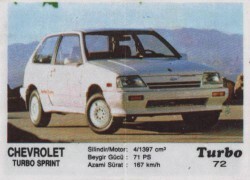 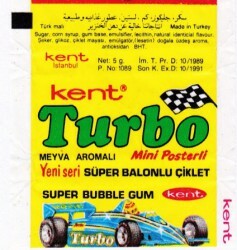 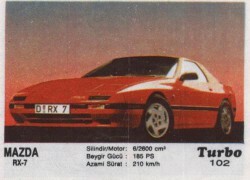 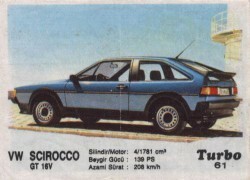 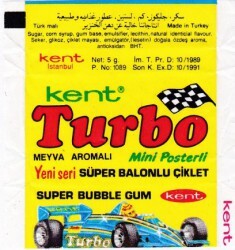 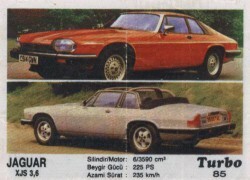 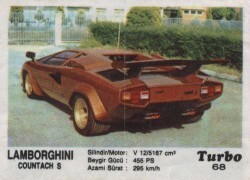 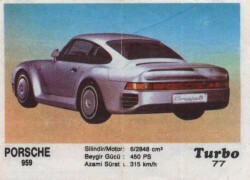 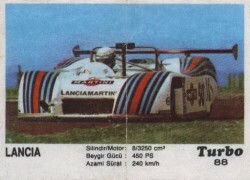 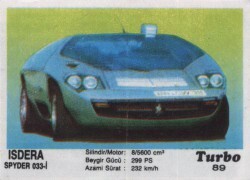 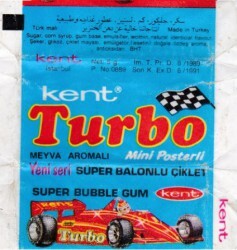 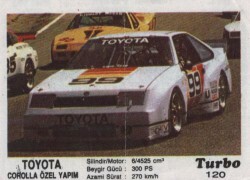 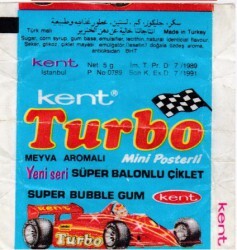 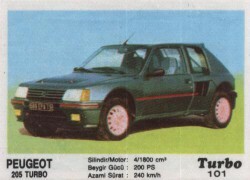 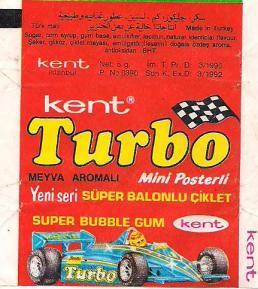 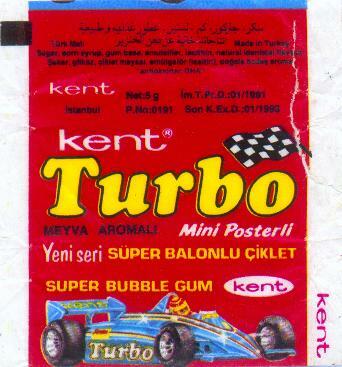 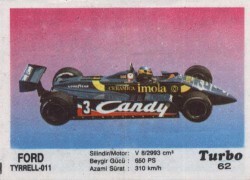 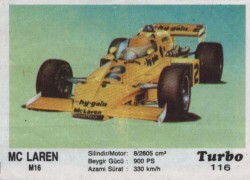 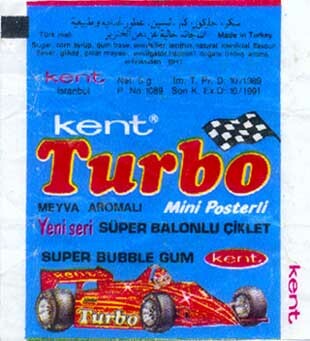 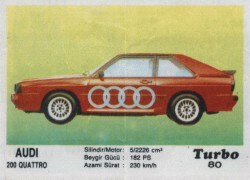 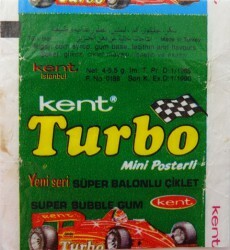 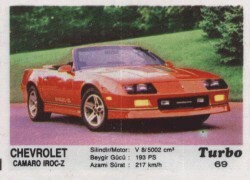 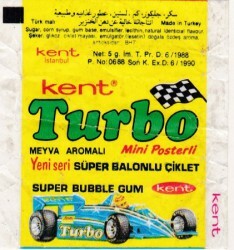 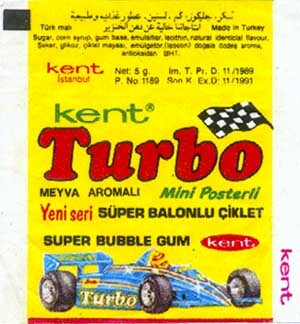 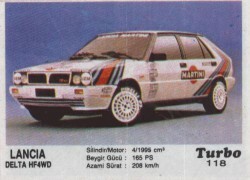 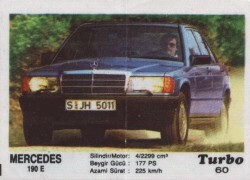 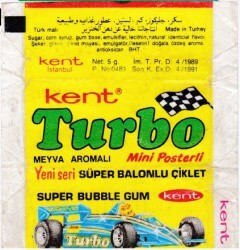 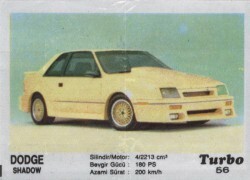 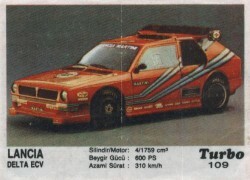 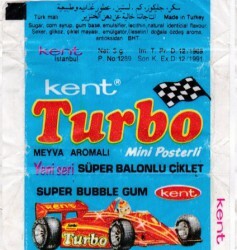 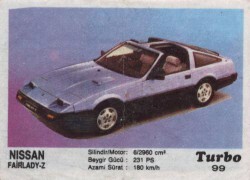 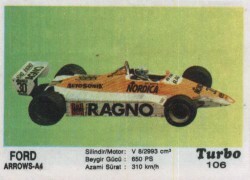 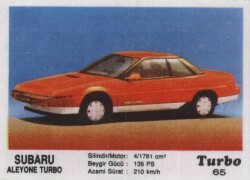 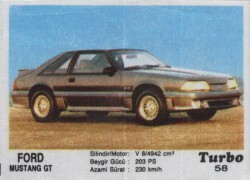 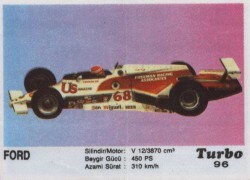 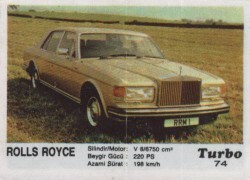 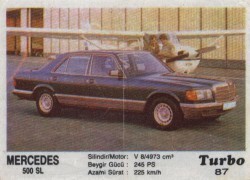 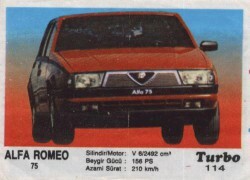 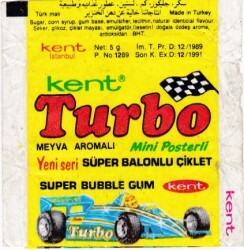 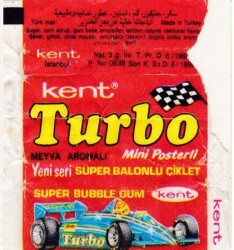 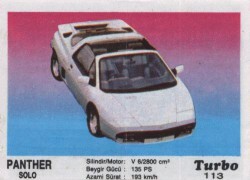 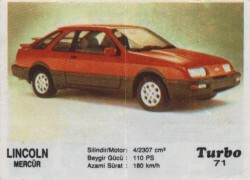 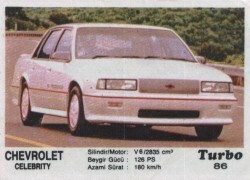 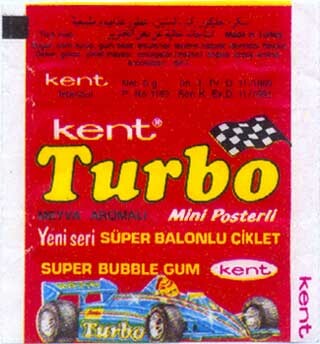 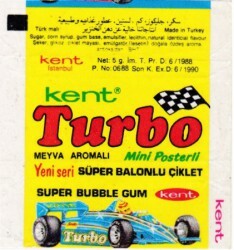 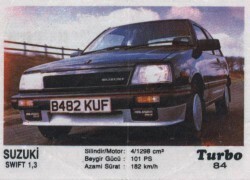 All cars are real (no prototypes) on a real background, in number 78 appear text Turbo Kent over car, also appears few cars on one wrapper - numbers 51, 85, 112, this numbers was appreciated bigger than other. 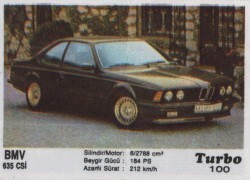 Appear wrapper with vertical image orientation - BMW 82. 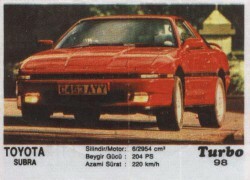 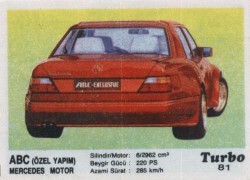 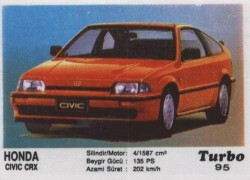 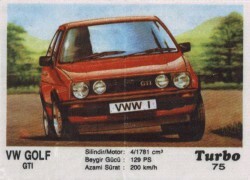 In parallel with 2nd series was produced signs with cars from this series.